Ball said that Amin, as someone who has worked closely with the Americans, is now in life-threatening danger and must stay in hiding for as long as he remains in Afghanistan. Although Amin has applied for a Special Immigrant Visa (SIV) to the United States, designated for those served as interpreters, his paperwork has been awaiting approval—undergoing “administrative processing”—for more than three years. Officials acknowledge that less than a year is usually adequate for the security checks to take place. Ball is not just sitting back and waiting. He’s looking for answers and has reached out to his networks to help him get the results he wants. 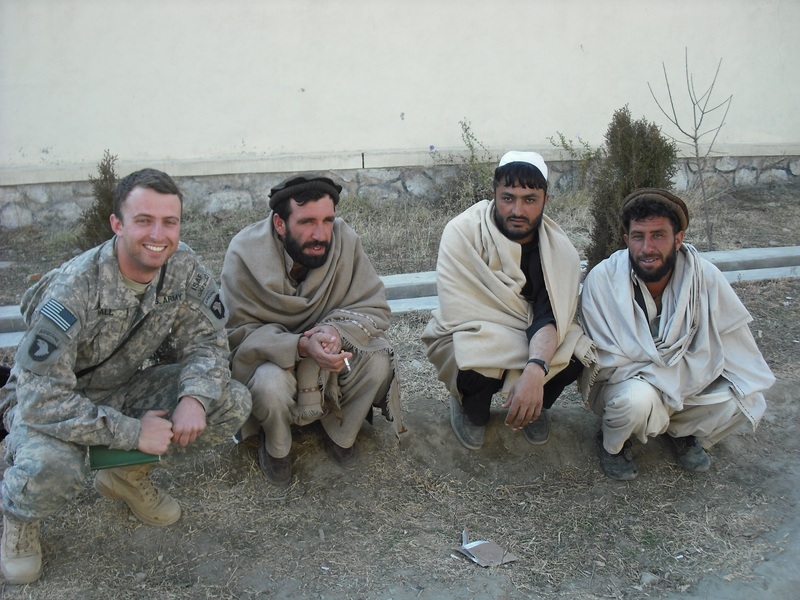 Named a 2015 Tillman Scholar by the Pat Tillman Foundation, Ball learned of Tillman Scholar Adrian Kinsella, who had advocated successfully to bring his Afghan interpreter to the United States. Ball took action: “With Adrian’s help, I initiated a Congressional Inquiry into the status of my interpreter,” he told Jill Walsh, writer for the Tillman Foundation. Ball has also enlisted his Stanford community. “We are working on getting more Congress people to initiate inquiries with the State Department and the other agencies that handle the case. The petition has been signed by a group of Stanford Law students who are in the International Refugee Assistance Project (IRAP),” he said. While he noted last April that a response from the embassy indicated that they planned to expedite Amin’s case, as of Sept. 1, Amin is still not in the States. Ball’s parents concur and have offered to house Qismat Amin in their Denver home—when and if he arrives. Ball is deeply grateful for their support, even as he is able to acknowledge, in a quick flash humor “the sit-com potential” of a young Afghan living in his middle-aged suburban parents’ home. A College of Social Studies major at Wesleyan, Ball is also eager to enlist the community with ties to alma mater. “What I love about the Wesleyan community is that it very much takes world events seriously. And in this case, there is something you can do about it,” he said.